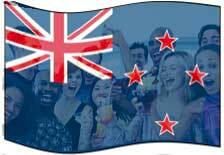 A 100% free Online Dating service for New Zealand singles with loads of quality features to help you connect with friends in New Zealand and worldwide. Many online dating sites claim to be free, and then surprise you with charges for features such as emailing, chat, IM, etc. At Connecting Singles, All features are totally free: emails, flowers, forums, blogs, polls, eCards, rate photos, videos, chat rooms, IM, singles parties, and more. There are no catches, fees, credits, coupons, gimmicks or surprises at Connecting Singles. What have you got to lose? Join the group. Get Connected! The only 100% FREE Online Dating Site in New Zealand! Meet New Zealand singles now! Connecting Singles New Zealand really is 100% FREE! A 100% FREE Online dating service for New Zealand singles offering free online dating, free dating online, photo personal ads, matchmaking, free email, extensive search, and more. Connect Now! 100% FREE Online Dating Connecting Singles is a 100% FREE online dating service for singles! There are no fees or hidden charges whatsoever...no catches, no fees, no gimmicks. Its fun. Its fast. Its free. It works! Connect with someone special today!